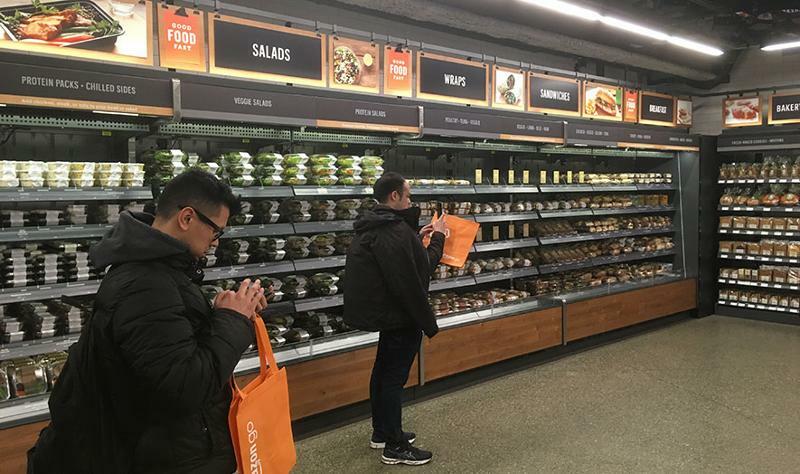 SAN FRANCISCO -- Amazon opened its sixth Amazon Go convenience store to the public on Oct. 23, its first in San Francisco. Additionally, the e-retailer announced plans to open a second San Francisco location this winter and a fourth Chicago location due to open in 2019. A unit is planned for New York City, as well, according to a report by Recode. 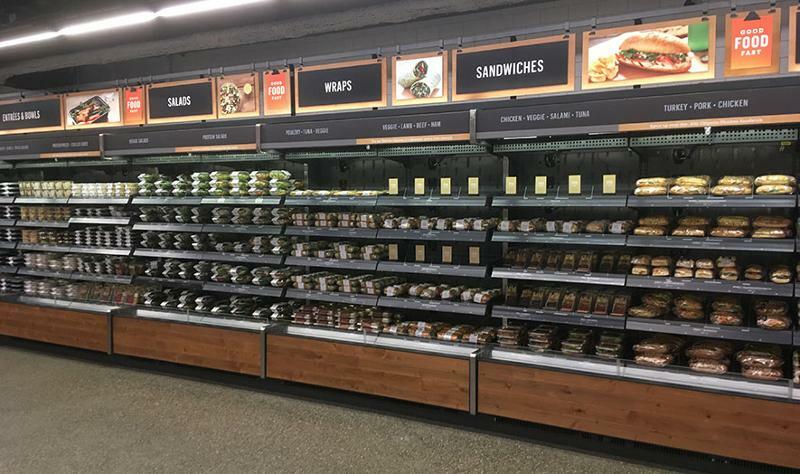 As with previous Amazon Go locations, the store uses cameras and sensors throughout the building to allow for a frictionless shopping experience. Customers scan a QR code on the Amazon Go app home screen over a turnstile when they enter, grab the items they need and walk out the door. The technology in the store tracks the customer and the products they grab, and it automatically charges their Amazon account. The new San Francisco store is the largest yet, at 2,300 square feet. And just as the Seattle and Chicago locations displayed local brands, so does the newest location. Local vendors include Urban Remedy, dosa by Dosa, Munchery, Green Heart Foods, La Boulangerie and more. The store is on the corner of California and Battery, and is open from 7 a.m. to 9 p.m., Monday through Friday. The second San Francisco location, due to open this winter, is situated at the corner of Post and Kearny, and will take up 1,750 square feet. 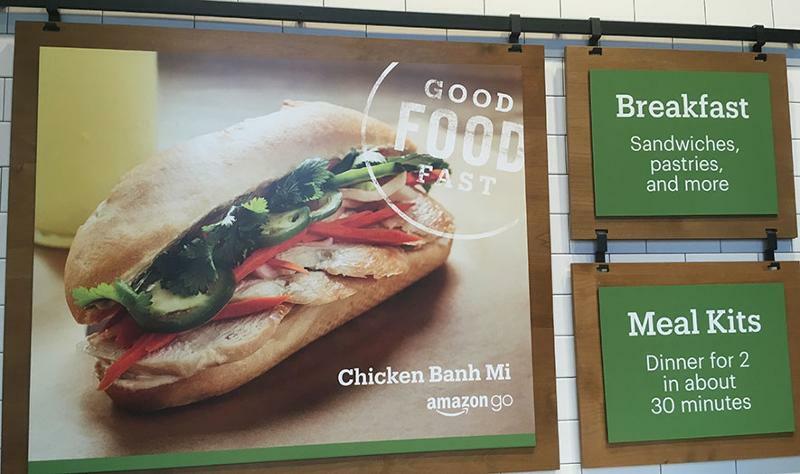 Amazon also announced the fourth Amazon Go unit in the Windy City. Chicagoans are still waiting for the third location in Ogilvie Transportation Center to open, but that has not stopped Amazon from teasing plans for another unit due to open in the Illinois Center in 2019 at 2,000 square feet. 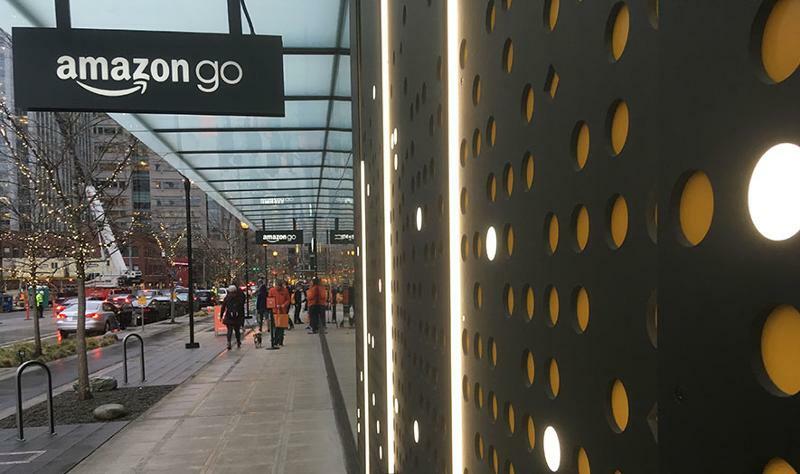 Bloomberg recently reported that Amazon is considering opening 3,000 Amazon Go stores by 2021. An Amazon spokesperson declined to respond to what they referred to as “rumors or speculation,” and neither confirmed nor denied the report. 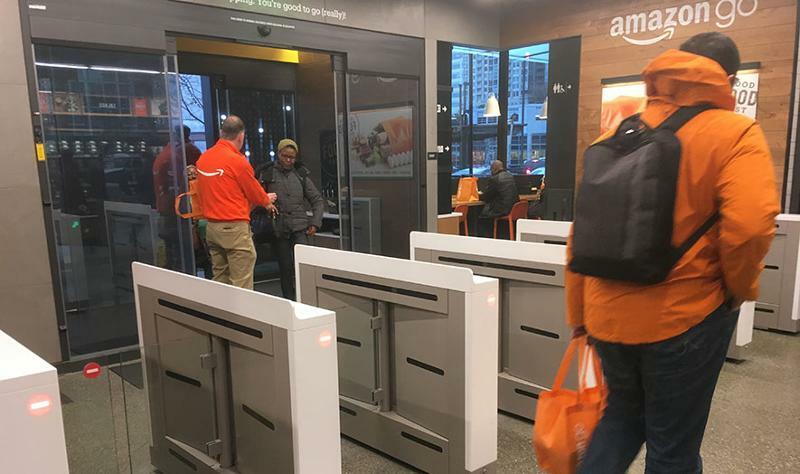 Regardless of whether Amazon opens thousands of Amazon Go stores in that time or not, other frictionless concepts are rising to meet it. Notably, app-based stores Zippin and Standard Cognition began operation in San Francisco before Amazon opened its newest location to the public. The convenience retail industry has not been idle, either. Salt Lake City-based Skip recently announced its goal to beat Amazon to 3,000 locations using its app-based checkout tech. Additionally, the Pinnacle Corp., based in Arlington, Texas, displayed its Affiniti PickUp & Go tool at the recent NACS Show in Las Vegas. Atlanta-based payment company NCR also previewed app-based checkout tools in Vegas, where frictionless retail, both in the store and the back office, was the talk of the tech section.